The ex-secretary (minister) of the Mexican Treasury, José Antonio Meade, registered on Sunday as one of the candidates to obtain the candidacy of the ruling Institutional Revolutionary Party (PRI) heading for the presidential elections of 2018. In a crowded ceremony before hundreds of militants from all the currents of the PRI, José Antonio Meade offered his first speech as an aspirant, in which he praised the structural reforms promoted by Mexican President Enrique Peña Nieto, whose term ends at the end of 2018. “This reformist impulse was possible thanks to the talent and sensitivity of a great Mexican, an architect of change,” José Antonio Meade said of the Mexican president. Among cries of “Pepe president“, Meade, who has not been a militant of any Mexican party, but who has been an official under the governments of the PRI and the former ruling National Action Party (PAN) between 2006 and 2012, trusted that his experience will be key to winning the presidency. 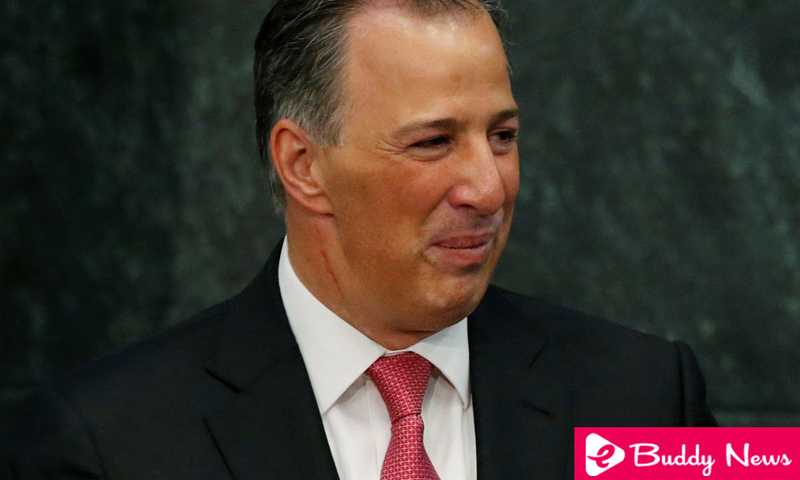 “I sign up because I have the experience and I can be a good president of Mexico,” said Meade, who has been a minister five times. José Antonio Meade, 48, resigned last November 27 from the Ministry of Finance to seek the presidential candidacy for the PRI, on the second occasion in which he headed that unit. In addition to the Treasury, the official was also Minister of Energy, Social Development, and Foreign Affairs. The lawyer and economist Meade said that, in case of winning the presidency in the elections of July 1, 2018, he will seek to take Mexico to the place of world power that corresponds to it. “Mexico has a better present and a better future for the reforms,” he explained in his speech, interrupted on several occasions between cheers and cries of sympathy. Meade endorsed his support to women, youth, peasants and militant workers, and thanked the support of the officials and other PRI colleagues present at the event. “United we will go to victory,” said José Antonio Meade, after his registration with the National Internal Processes Commission of the PRI. Meade holds a degree in Law from the National Autonomous University of Mexico (UNAM) and in Economics from the Instituto Tecnológico Autónomo de México (ITAM). He also holds a Ph.D. in Economics from Yale University in the United States.